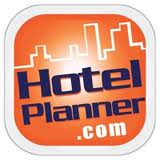 HotelPlanner.com to assist NFL’s St. Louis Rams with their 2014 season hotel travel accommodations. We’re pleased to continue our partnership with the St. Louis Rams. We believe this will be an exciting year for Rams football, and we look forward to working closely with the team to make this year a success! HotelPlanner.com has renewed their ongoing partnership with the NFL’s St. Louis Rams. The partnership is now entering into its 3rd season. As the Rams’ preferred hotel reservations provider for the 2014 season, HotelPlanner.com will provide cutting-edge hotel group-booking services to the team. HotelPlanner.com will work with the Rams personnel to secure quality accommodations that cover all aspects of team travel. HotelPlanner.com will leverage partnerships established with hotels that can meet the unique needs of the Rams. HotelPlanner.com’s staff is responsible for ensuring the team has the best hotel stay in each of the cities they visit during the 2014 season. “HotelPlanner has provided outstanding customer service consistently to the St. Louis Rams and our fans over the past 5 seasons. We are pleased to not only continue our business relationship, but to expand the relationship into new categories and grow the partnership further. We look forward to the years ahead," detailed Executive Vice President and Chief Revenue Office of the St. Louis Rams, Bob Reif. HotelPlanner.com provides online services to the global group hotel sales market. Its service ensures the lowest rates by allowing clients to receive quotes online directly from hotel group sales managers. HotelPlanner.com has a special practice dedicated to servicing professional sports teams. HotelPlanner.com also provides hotel reservation services for professional sport teams in the NFL, NBA, NHL, and other sports such as the Professional Bowlers Association. The company also provides mobile applications for booking group hotel reservations and owns and operates Meetings.com, a site that provides information on meeting and banquet venues around the world for corporate and association meeting planners. Its services allow customers to book hotels for business meetings, conferences, conventions, family reunions, weddings, extended stays, tours, military reunions, church events, and group travels. HotelPlanner.com was founded in 2002 and is based in West Palm Beach, Florida. The company opened its European headquarters in London, United Kingdom in 2012 and its Las Vegas western regional office in 2013.